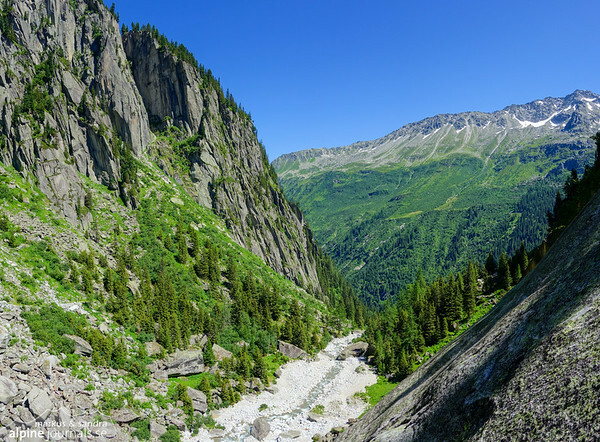 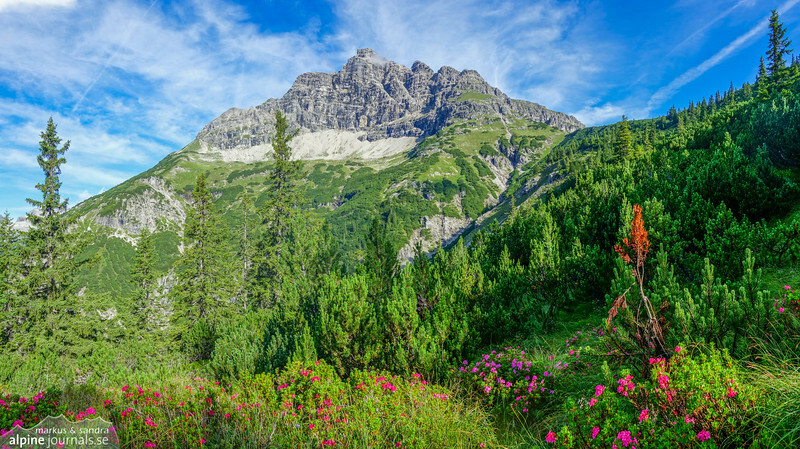 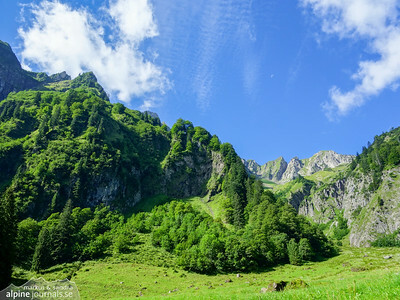 Green mountains and blue skies in the alps in summer. 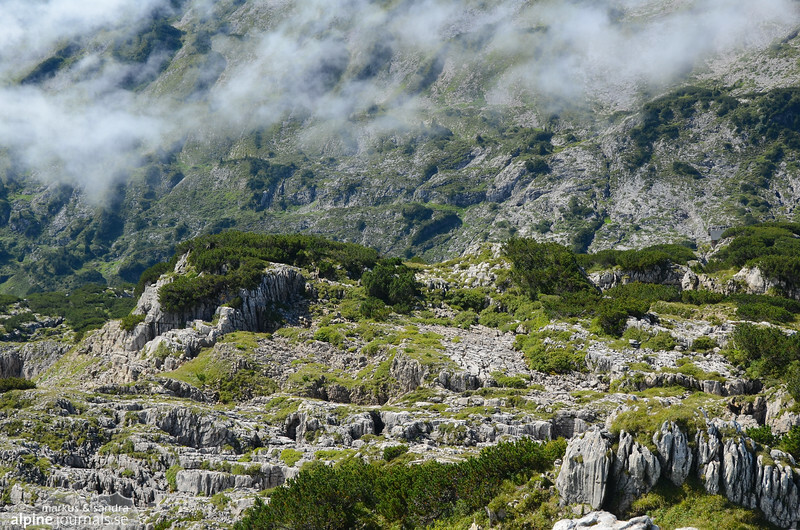 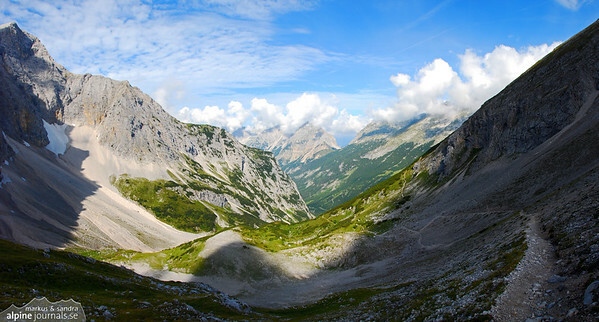 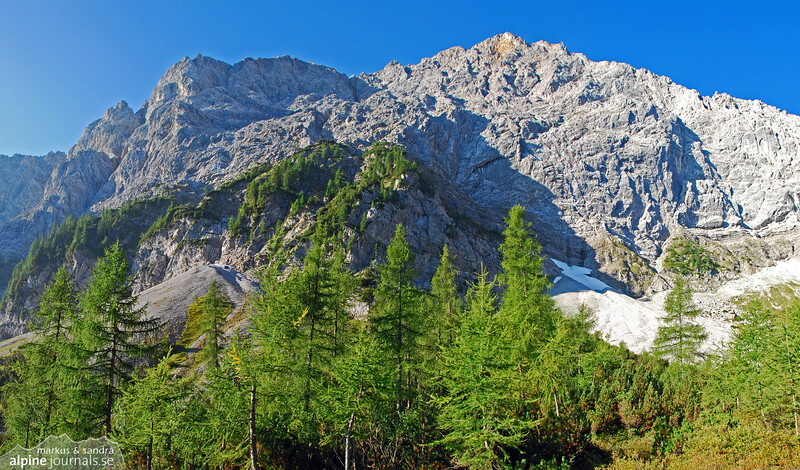 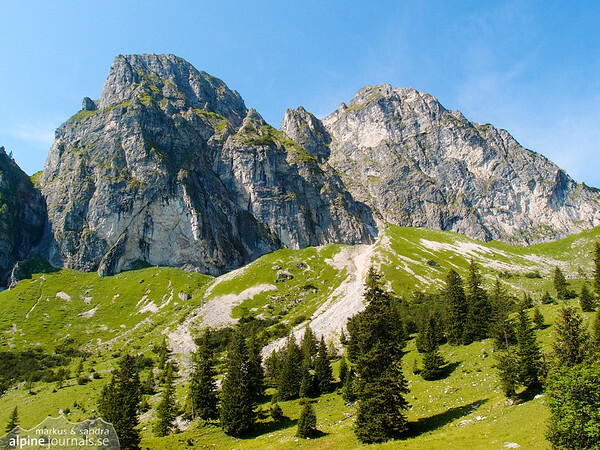 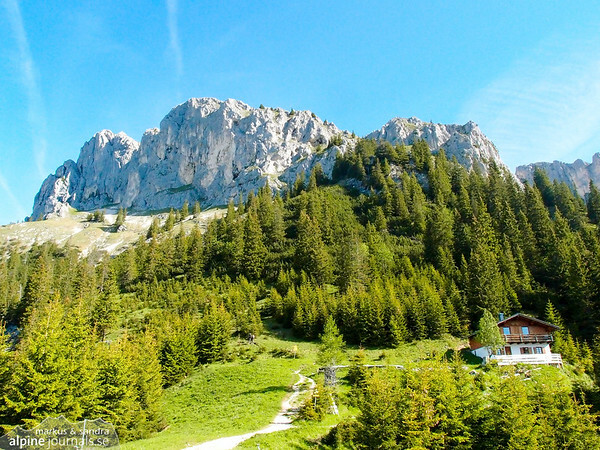 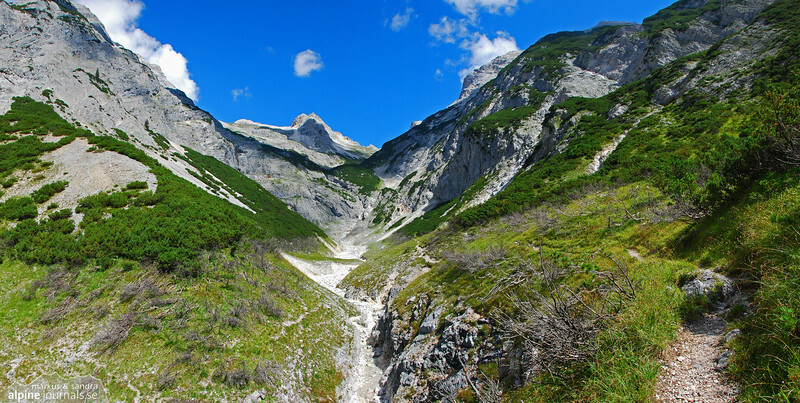 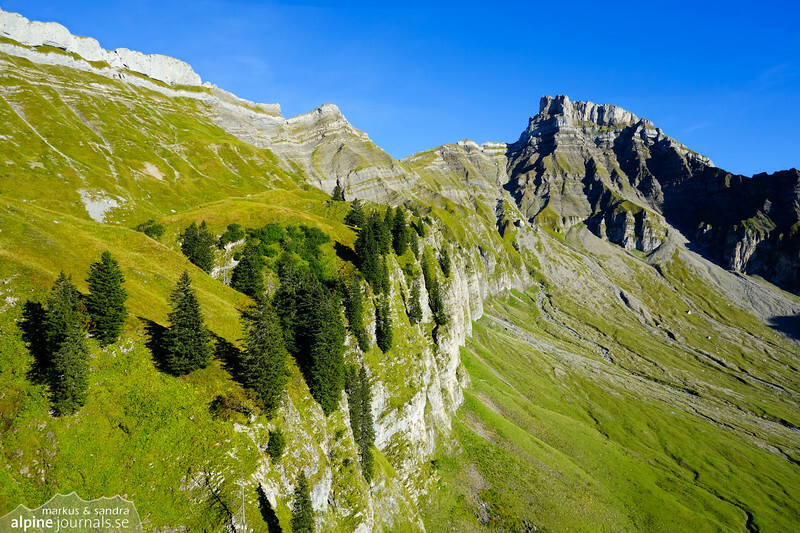 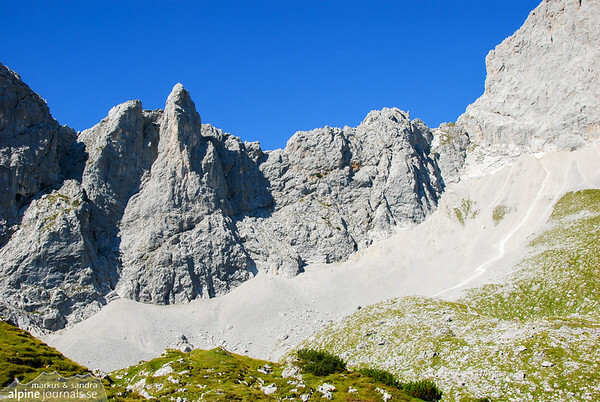 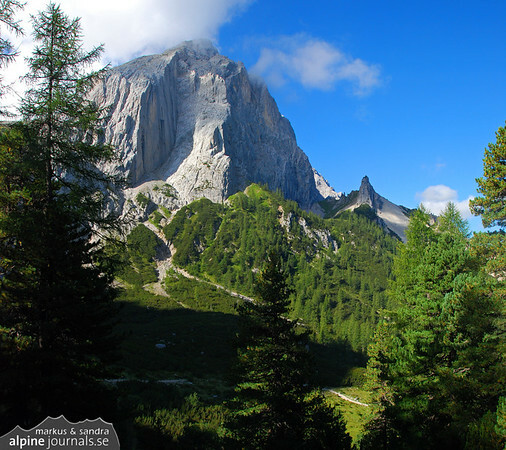 Close to Tiefifenalpe on the western side of Hohe Ifen, one finds this staggering view over the mountain. 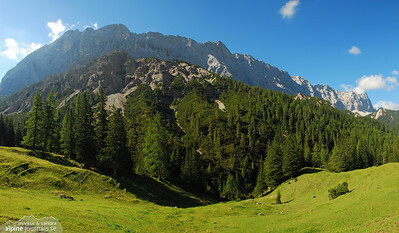 Lush green cliffs around the Höfats mountains in Oytal.